Cost of the Project – One of the most important factor when choosing a contractor is the actual cost of the project. What most people do is ask for bids for their roofing project and then pick a contractor based on the lowest bid. However, it can put your project in jeopardy. You need to also take into consideration other things such as the materials to be used, the application process and even the roofing system they select. The scope of the Contractor’s Work – There are many different roofing methods, roof materials and also different application methods that can impact the cost of the project. However, not all of these roofing methods can be best for you. Thus, you need to seek bid depending on the kind of roofing methods and the materials that you would like the contractor to use. Learn the Financial Strength – You need to check the financial stability of the contractor so that they can ensure that your project is completed well on time. If the contractor fails to complete the project, it will be difficult to find another one to help you achieve it. The new contractor will also not provide warranty on the project then. The Experience of the Contractor – Contractors with a good reputation in the market means that they are professional enough to be in the business for long enough. You need to check the past ownership and the management of the company as it may have an impact on the way they conduct their business. Also, check if they have filed for bankruptcy in the past. Service Record – Contractors are required to offer a warranty on the repairs and installation that they take up. For the warranty to be valid, the homeowners need to get them checked and conduct maintenance of the roof. 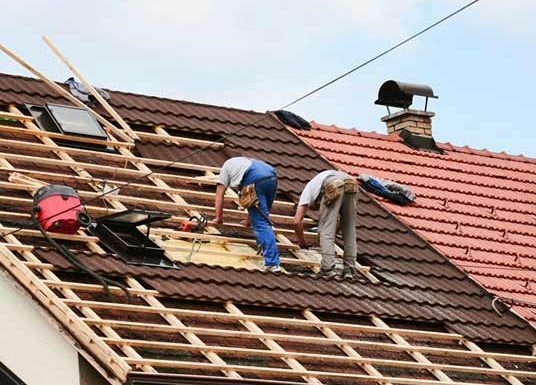 The contractor you pick should be able to maintain your roof and also conduct repairs when needed to ensure that they are performing well in the long term. Safety Record – In the construction industry, safety is of paramount importance especially on roof projects. You need to ensure that the contractor has the right safety training program and use all the necessary roofing safety equipment to ensure that the workers are properly trained. Safety procedures of the contractor are also important for your insurance to be valid. Before hiring the roofing contractor, you need to hold a meeting with them to help understand the project needs. 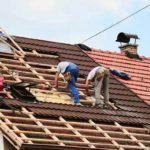 You should discuss the project materials, schedule, working hours, total cost and other important things associated with the roofing project so that there are no surprises later on.